Established in Clevedon near Bristol, County Castles is a family-run business that has been offering the South West and South Wales a large variety of bouncy castles and other inflatables for over 20 years. We are also the preferred supplier for several agencies within North Somerset, available for corporate events such as school fairs, fetes and carnivals. Although, there is more to us than just bouncy castles. Operating under the same name, County Castles also offers hot tub hire, marquee hire, donkeys for hire, and seasoned hardwood logs. We are passionate about making your event a memorable one, and strive to give your celebration the kind of entertainment you won’t forget. Whether you’re looking for a pirate-themed bouncy castle, or even a large selection of garden games to enjoy in the sun - we will provide and set up all necessary equipment, and we will be there when your event is over, to pack up and make sure everything went smoothly. Proprietor and founder Mat Taylor prides himself on bringing inflatable fun for all occasions at very competitive prices. Why the bouncy castle industry? I was a teacher for many years, and loved seeing the children enjoy themselves in the classroom, then it kind of just transcended into the school holidays where I would hire out boats for the day, then would offer donkey rides, then the next step was just buying a bouncy castle! It can be hard sometimes, but having the opportunity to see the happiness on both adult's and children's faces when I deliver my products makes it a very enjoyable part of my life. Mat is involved in a lot of community work, such as being a founding member of MARLENS, Assistant Event Organiser of Clevedon Pride and Festival Director of Clevedon Tides. County Castles has also worked in supplying inflatables and donkeys in support of charitable organisations such as Children's Hospice South West. If you are interested in hiring inflatables, indoor/outdoor games or donkeys for a fundraising event, please do get in touch, and we'll gladly discuss what we can do for you. In August 2015, North Somerset Mercury recognised the community work that Mat is involved with, and was invited to talk a little bit about what it is to be a Festival Director. 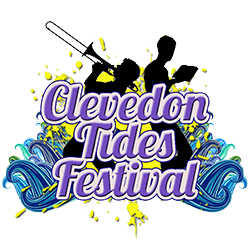 This allowed more people to hear about the events County Castles attends, as well as encouraging more visitors to visit the Clevedon Tides Festival! You can check out his interview here. You may have heard about the pop-up Drive-In Cinema on the Salthouse Fields Clevedon in September 2015? Mat was primarily involved in the organisation of this fantastic event in aid of raising money for the Marlens. Read the article here. Mat also joined Radio Bristol for a live interview in October 2015! You might have seen our donkeys many years ago at St. Andrew’s Church in Clevedon. Travellers came from all over came to deliver kisses, carrots and Polo’s (everyone knows donkeys love Polo’s!). We currently have 12 donkeys, most of them being working rescue donkeys, and when their time comes to retire they will live out their years with frequent cuddles, surrounded by their donkey friends in open pastures. We remain in contact with The Donkey Sanctuary to keep up to date with donkey care standards, and occasionally attend workshops. If you’d like more information on the good work they do, click below! We would love to have you visit some of the events we participate in! he Clevedon Tides Festival (formerly named the ‘Marlens Festival’) has been running since 2005 as a celebration of our wonderful Marine Lake. We supply Water Zorbing as well as small and large inflatables, the pop-up Inflatable Tearoom serving hot or cold drinks, home-made cakes and other goodies, the Climbing Wall and Donkey rides! The Nailsea & Backwell Beer & Cider Festival is a non-profit event supporting local sporting clubs and charities. Come and see our pop-up Inflatable Tearoom while we serve hot or cold drinks and a selection of home-made cakes! We also offer inflatable fun on some of our larger equipment. 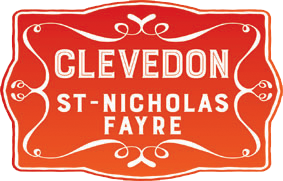 St. Nicholas Fayre in Clevedon has been held for over 25 years. Clevedon Donkeys are available for 'Reindeer' rides on the evening!